The Big Smoke, a two year old half brother to Trois Lunes, was an comfortable 3/4 length winner over 1700 at Pornichet on December 17th. The Haras du Cadran’s son of Charm Spirit has won his last two starts on the all weather with some ease and looks like a stakes prospect for 2019. Trained by Carlos and Yann Lerner The Big Smoke has two wins and a place in four starts to date and earnings of 37.000 euros. 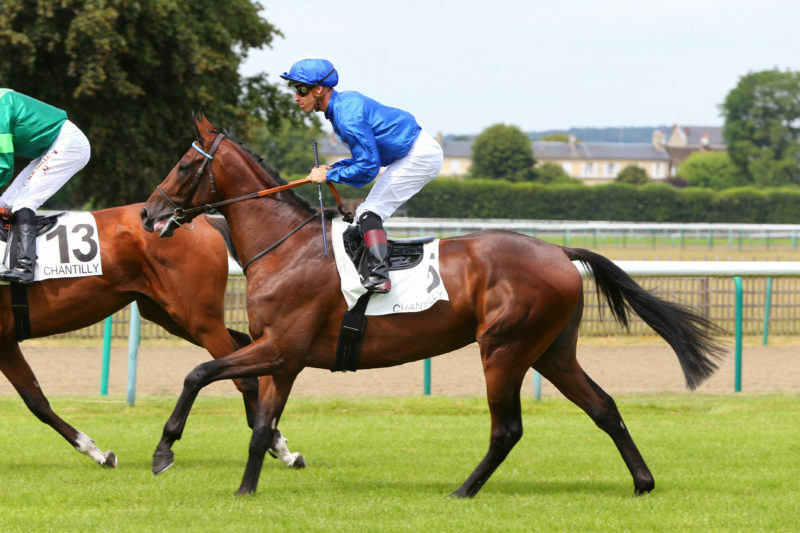 The Big Smoke’s dam Trip To The Moon is the dam of four winners including The Big Smoke and Trois Lunes, the Haras de Saint Pair’s mare who won the Group 3 Prix de Vanteaux in 2012. Trois Lunes’ first foal is Trais Fluors a four year old Dansili colt who is a Group and Listed winner and Group 1 performer. Her yearling colt by Kendargent was sold for 82.000 euros at the Arqana October yearling sale and is in training with Nicolas Clement. Trip To the Moon has an unraced three year old Dark Angel gelding called Guy Dragon who was sold 380.000 euros as a yearling in Deauville and is in training in Hong Kong as well as a yearling colt by Manduro.